FREE Eucerin Lotion w/ Coupon! HURRY and print this new $1/1 Eucerin coupon! 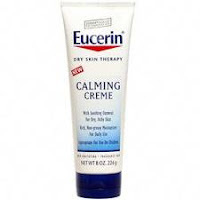 Many Targets have the travel-sized Eucerin Calming Creme for around $0.97, so FREE after coupon! i went there today. If you look at the fine print it says value of coupon cannot exceed price of item. I went to target today to find out.